A hydrating, 10% Glycolic Acid cream that helps exfoliate the skin's surface, diminishing the look of lines, discoloration and pores to reveal an unbeliveably smooth and rejuvenated complexion. Formulated with 10% Glycolic Acid, this lightweight, hydrating cream dramatically exfoliates to improve the appearance of skin texture, wrinkles, discoloration and pores. Infused with Coenzyme Q10 and Green Tea Extract, this advanced treatment helps improve appearance of skin tone and texture. Glycosaminoglycans act as a reservoir, locking in moisture for a hydrated and renewed appearance. 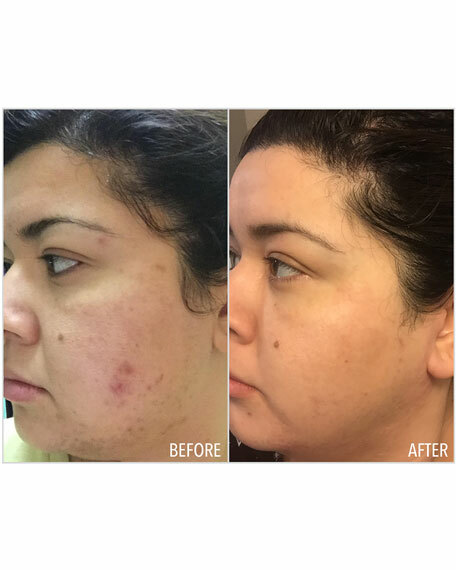 With one use, skin appears smoother, softer with improved clarity. The go-to dermatologist for an impressive roster of A-list clients, Dr. Harold Lancer created Lancer Skincare so that everyone can achieve the "Lancer Glow" at home. 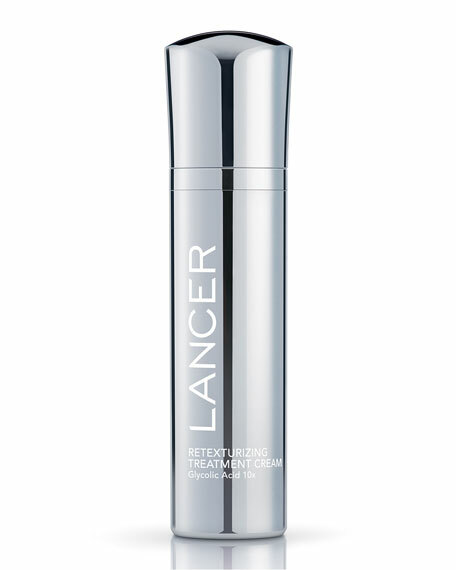 Using his unrivaled clinical experience, Dr. Lancer formulated a line of advanced, targeted treatments to further enhance the results of The Method, his signature regimen of daily exfoliation, cleansing and nourishing the skin to reveal healthy, radiant looking skin. With an active patient base of 30,000, Dr. Lancer sees as many as 60 patients a day from across the globe at the Lancer Dermatology Clinic in Beverly Hills. Apply once daily to face, neck and décolleté. 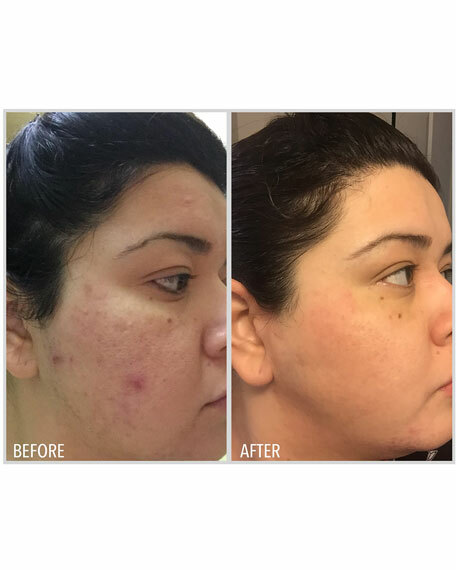 If there is no irritation, application can be increased to twice daily. If irritation occurs, wash product off and discontinue use. This product contains Alpha Hydroxy Acid that may increase your skin's sensitivity to the sun and particularly the possibility of sunburn. Use sunscreen, wear protective clothing, and limit sun exposure while using this product. Avoid contact with eyes. Water, Glycolic Acid, C12-15 Alkyl Benzoate, Cyclopentasiloxane, Cetearyl Alcohol, Glycerin, Glyceryl Stearate, PEG-100 Stearate, Polyacrylamide, Dimethicone, Cetearyl Glucoside, Squalane, Ammonium Hydroxide, Phenoxyethanol, C13-14 Isoparaffin, Tocopheryl Acetate, Camellia Sinensis Leaf Extract, Sodium Hyaluronate, Hydrolyzed Glycosaminoglycans, Ubiquinone, Phospholipids, Retinyl Palmitate, Ascorbyl Palmitate, Xanthan Gum, Sodium Benzoate, Laureth-7, Disodium EDTA, Lavandula Angustifolia (Lavender) Oil, Linalool.